Happy Friday,Y'all! 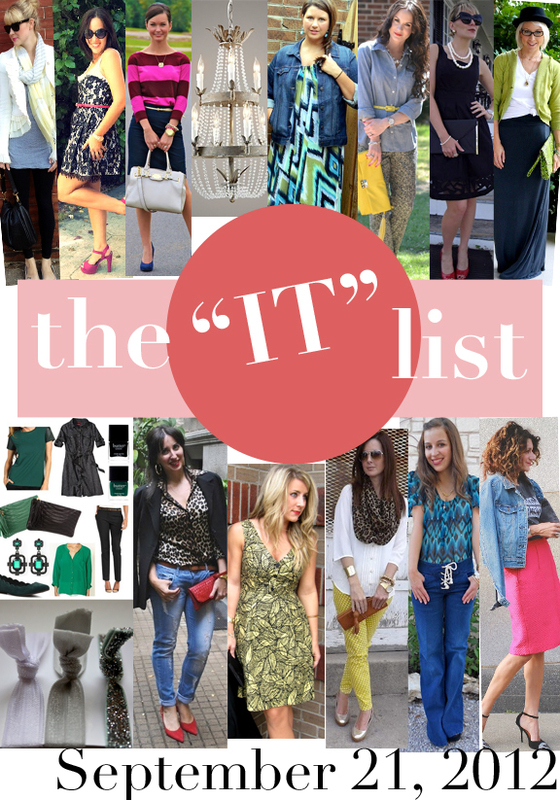 It's round 3 for the "IT" list feature for me! 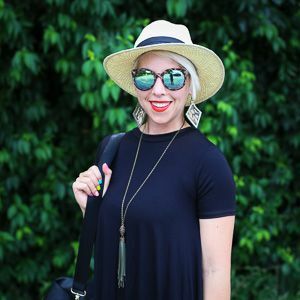 I hope you check out some of these lovely links for some style inspiration. I think my favorite is the hair tie tutorial! It's Not That Deep shows us her rebellious side and mixes a rocker tee with a prim and proper pencil skirt - all topped off with gorgeous curly locks! For All Things Lovely is sporting a favorite fall color combo - wine and magenta! Head over to see what (unexpected) color she paired it with! Love! My Fancy Pants nails the polka dot and colored denim trend in one shot! These happy pants look amazing paired with leopard! Citrus Refreshing Fashion is channeling Audrey in a Breakfast at Tiffany's inspired look - complete with pearls! So cute!